2C-I is a short-acting synthetic psychedelic. It gained some popularity in Europe and the U.S. between 2001 and 2005. It has sometimes been confused with 2C-I-NBOMe, which became popular in 2012 and which has substantially lower dosages. 2015 -There appears to be continued confusion on the street between 2C-I and 25I-NBOMe (also called 2C-I-NBOMe) which are different chemicals. 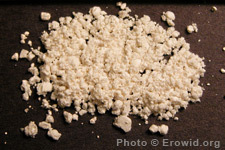 25I-NBOMe is a newer and more potent chemical which has led to several deaths when snorted. What are the medium or long term health effects of 2C-I? Is 2C-I illegal in New Zealand? A Step Into Darkness, by K.